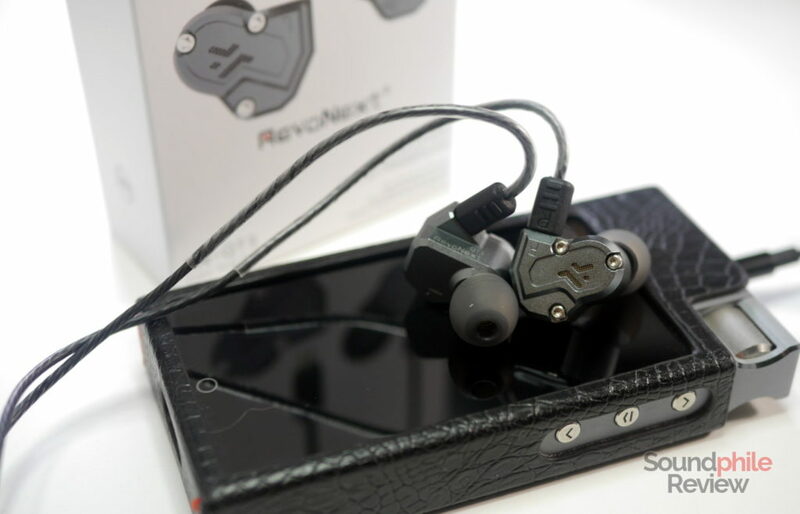 After the roaring success RevoNext got with their first in-ear headphones, the RevoNext QT2, the company got back to the drawing board and designed the evolution of the acclaimed first generation. 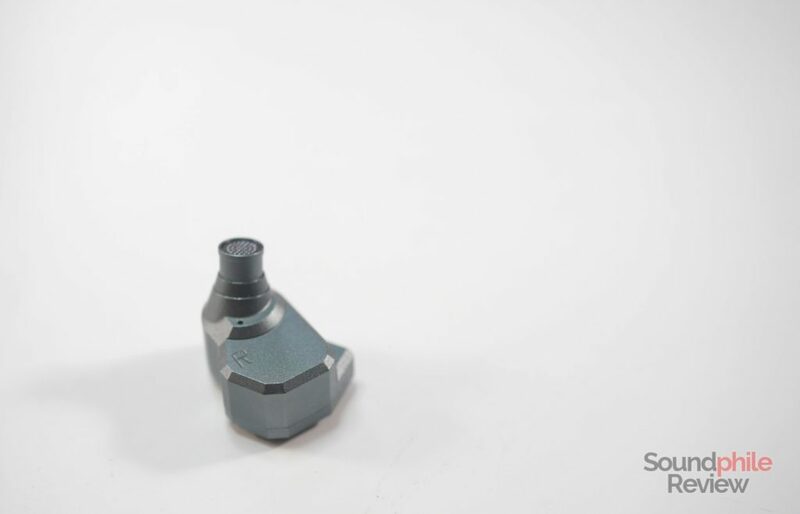 Here is the RevoNext QT3, an IEM with two dynamic drivers and two balanced armatures per channel. This makes the QT3 more similar to the KZ ZS6, but alas this similarity involves all the wrong features. Disclaimer: AK Audio provided this sample as a freebie. You can buy it for $44/$45 (no mic/mic) by writing “Soundphile Review” in the message field when checking out. Select then “other payment methods”, confirm the order and cancel payment. The people at AK Audio will manually adjust the price and you will receive an email confirmation – then you will be able to pay and complete your order. The box comes with a pre-cut foam padding that holds the headphones and the eartips. There is a total of three pairs of eartips. A cardboard box holds the cable, which also has a Velcro strap to keep it tidy when not in use. A small note of humour: it is as if RevoNext read my QT2 review, as the cable in the QT3 was arranged so that the final part that goes behind the ears remained soft and correctly shaped. I’m just joking, of course – but the improvement is thankfully real. The RevoNext QT3 has a big aluminium shell like that of the QT2 – it actually is the same shell with a different faceplate. Alas it suffers from the same issues that plague most large-shelled IEMs: it is not that comfortable – more on that later. Most design cues from the QT2 have been kept intact, including the general shape (which is identical), the angled nozzle and the oddly-shaped vents on the back – though they’re slightly different. There’s something new, too: there is now a complex system of shapes in relief with three vents on the faceplate and there are three bolts keeping it all together. Generally speaking, the design continues on the same route as the previous generation in bringing a bit of personality to what is essentially a copycat design – with the Campfire Andromeda being the source. RevoNext did a good job in differentiating its product from the original, though, so we may say this is commendable I guess? In terms of build quality, the RevoNext QT3 appear to be very well built and solid; their metal shells are accurately assembled and display no apparent flaw. The materials used appear resistant and durable – all in all this is top-notch quality for the price. I must warn you in advance that I know that this sounds crazy, but it’s real. Despite using the same shell, comfort is not as good as in the previous iteration: the shells tend to press against the pinnae and cause discomfort after a while. This “while” is not so little, though, as it amounts to a couple hours. Considering the mean level for this Andromeda-like shape, I think this is a good result overall. I’m not quite sure why I experience different results between QT2 and QT3, but it’s not a passing impression as repeated testing yielded the same results. It is surely much better than the KZ ZS6, which causes pain after just half an hour. These are not what I would define as “comfortable” anyway and the situation may be even worse for people with smaller ears than mine. If you’re looking for isolating headphones, the RevoNext QT3 may not be the best choice. They offer basic isolation at best, and that is to say there is a very low impact on sounds coming from outside. 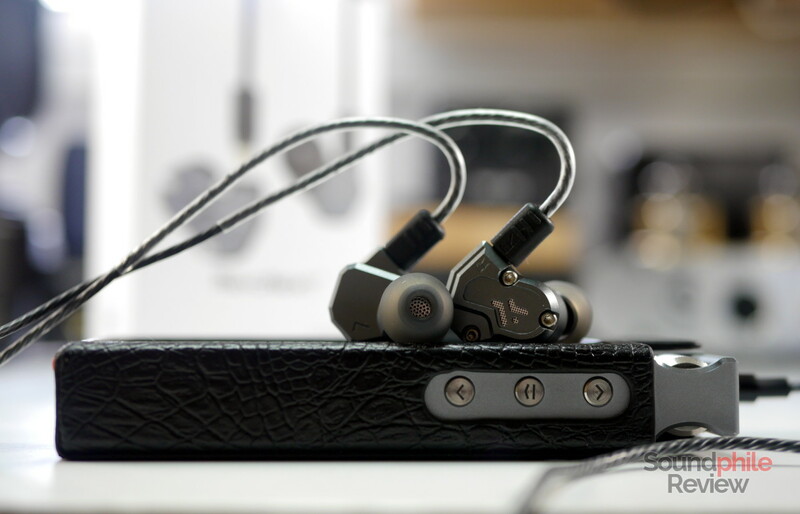 They’re not like open-back headphones, but they’re a far cry from isolating headphones such as the KZ ZSA. While walking on busy streets or standing on public transport I can easily hear everything around me and I am forced to raise the volume to hear the music correctly. The cable is identical to the QT2 one: it is a bit thin and covered in plastic with a rubbery feeling to it. It’s springy and full of kinks caused by the packaging, and it is also fairly prone to microphonics. It is decent, but not more than that. One thing I noticed about the cable is the fact that the pins are very long – while they are usually about 3 mm long, in this case they’re 5 mm – which is almost double the length! There is no problem in using aftermarket cables such as the Yinyoo 6-core copper cable, though. In order to test the RevoNext QT3 I used a Topping DX7, a Topping D30 driving a Venture Electronics RunAbout 2.0bl and a Head ‘n’ HiFi Objective2, plus a Cayin N5ii. I broke them in for 100 hours or so. Source files were FLAC in standard resolution for the most part. I also used the iFi IEMatch when using the stock cable and the iFi IEMatch2.5 when using the Yinyoo 8-core SPC cable. The RevoNext QT3 has a heavily V-shaped signature, similarly to its predecessor, but it takes things to a different level. Treble is in fact spiky and untamed, so it gets quite fatiguing quite soon. It definitely is not balanced; on the contrary, it suffers from an ugly unbalance that makes it sound not right. There’s some good width to the soundstage, but it’s not one of the widest I’ve heard; for a closed IEM it is indeed notable. Though it is good, I think it is still not on par with other offerings on the market such as the RHA T20i, Tin Audio T2 or Venture Electronics Monk IE Biggie. Imaging is only so precise as to allow you to roughly get the location of an instrument and nothing more. On the other hand, instrument separation is the strongest technical feature of the QT3, as it is very good and among the best I’ve heard in sub-$100 in-ear headphones. If there’s one thing the RevoNext QT3 get right, though, that’s clarity. I can’t ascribe it to the presence of four drivers per channel with certainty, but sound appears almost crystal-clear – hearing all the different instruments is really easy and there’s (almost) never any overlapping. Bass is powerful and deep. RevoNext kept the same configuration that made the QT2’s bass great and this is a big win – if you like this approach to the lows. It surely isn’t neutral; on the contrary, it is prominent and it has a central role in the sound signature, often being in front of mids in terms of importance. Being bass so prominent it sometimes overlaps the mids a bit – well, it actually overshadows them, as the mids are still there and they’re clearly audible, but they appear behind the bass. Despite being exaggerated, bass is actually good in terms of quality: there’s some nice texturing and layering going on, which in turn suggest the two dynamic drivers are working well and keep some good control over the low frequencies. 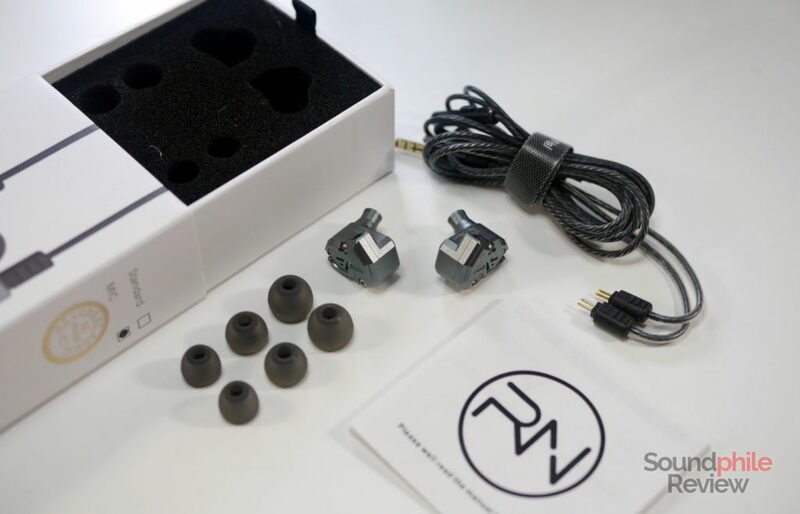 Their extension is remarkable, too, as they get down to 25 Hz with acceptable volume levels – definitely not the most common thing at this price point. All in all, the QT3 have a very solid bass section that has some very nice qualities. As the sound is characterised by a “V” shape, midrange is a bit recessed, but it is still forward enough not to sound distant or weak. It is still recessed, though, so I often found myself craving for a bit more volume. It is commendable how RevoNext got a balanced midrange, though there’s a very slight emphasis on the upper section which makes sound a bit bright and energetic – it is especially notable in tracks with guitars (e.g. Trains by Porcupine Tree). The quantity and quality of details being showcased create a sound that’s appealing to discerning listeners, too, as they’re both quite good – though not on par with more detailed headphones such as the Tin Audio T2. It’s overall pleasing as a V-shaped midrange and it leaves little room for complaints. The real weak point of the RevoNext QT3 is, without a doubt, treble. Though it is clear and it has a whole lot of detail, it is way too emphasised and prominent in the lower part to sound good. It is piercing and harsh, and it becomes fatiguing after a few minutes. This is despite it being commendably detailed, as it shows many micro-details and nuances, and having good extension (with a rapid roll-off, though). It’s a shame it is just too wild and untamed to be bearable. Being the sound signature V-shaped, the RevoNext QT3 sound their best with modern genres that privilege bass and treble – classical music or jazz are not rendered that well, though they’re still acceptable to me. RevoNext QT2: the QT2 are the exact same thing as the QT3, except they have one less balanced armature. It appears like the added balanced armature is what causes the treble spike, as the QT2 has the same sound signature and roughly the same qualities as the QT3, save for the treble spike. The only relevant differences are an increased clarity on the QT3, a slightly larger soundstage and a slightly better resolution in treble, but that’s about it. The RevoNext QT3 comes out as the better technical alternative, but the less desirable in terms of tuning. KZ ZS6: it seems to me like the ZS6 has an almost identical tuning, with slightly more emphasised bass and a teeny tiny less amount of treble – though it’s hard to say for sure. The real differences are in soundstage, which is smaller and much more intimate, and instrument separation, which is not on par with the QT3. Overall they are almost carbon copies of each other, but the QT3 appear to have a slight edge due to being a bit more technically capable. KZ ZS10: the ZS10 have an even more prominent bass section, with less emphasised treble and completely messed up midrange. The balance is way off on the ZS10, so they sound really odd – and the midrange is even more recessed than on the QT3, which comes a bit as a surprise. They’re comparable in terms of soundstage, but the QT3 are better when it comes to instrument separation and imaging. Given that the ZS10 sounds wrong, the better option is the QT3. Tin Audio T2: the two couldn’t be more different. 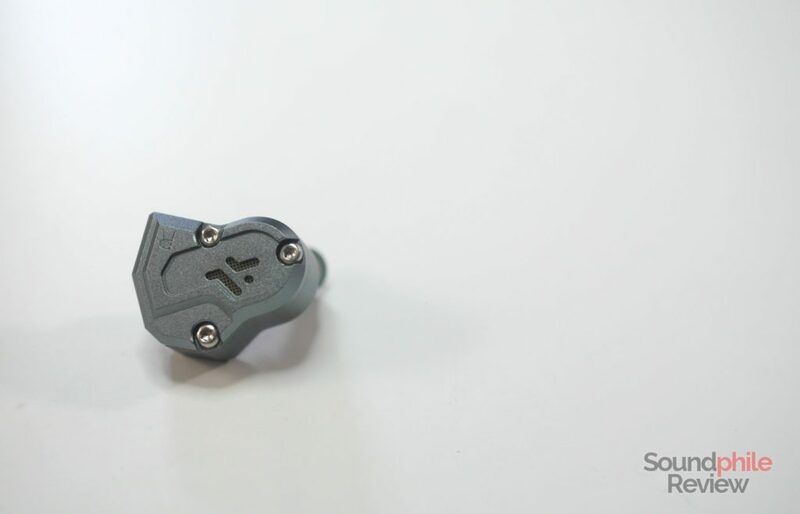 The Tin Audio T2 is much more balanced across the whole spectrum, with just some emphasis on the upper midrange. They’re almost opposites acoustically. 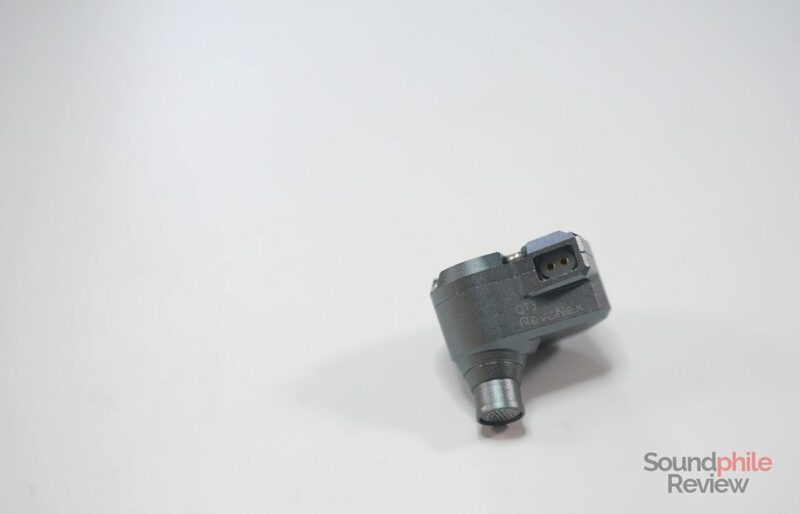 There are differences in their technical capabilities, too, as the T2 are better at soundstage and imaging and they are also more capable in terms of resolution and instrument separation. This superior technical capability is however not really important if you favour V-shaped headphones – in which case the QT3 would obviously be the best option. The RevoNext QT3 is not really an improvement over the QT2, unless you like treble cannons – and the QT2 did not lack treble, that’s for sure. They are good, but they’re hampered by this excessive spike in the upper range which makes them fatiguing and unbalanced. That’s a shame, because everything else is great – bass has a great punch and good depth, midrange sounds good and treble detail is fine. This is a missed opportunity to create something great. Is it worth to get the QT3? Unless you really like their sound signature, the answer is no – at least until you can find the QT2 on the market. This recommendation does not take equalisation into account: of course, if you want to use an equaliser to remove the spike, then the QT3 are actually better than the QT2 from a technical standpoint and they can be a superior choice. But their out-of-the-box experience is not one I find comfortable recommending to everyone. Living just outside of Milan, Italy, I got the the passion for music listening as a legacy from my father and my grandfather. I am currently studying Computer Science at Università degli Studi di Milano. I also happen to have reported on technology for major Italian publications since 2011. Hey there! Feel free to leave a comment. Please note that you should write in English, and comments in other languages will be deleted. Thank you!